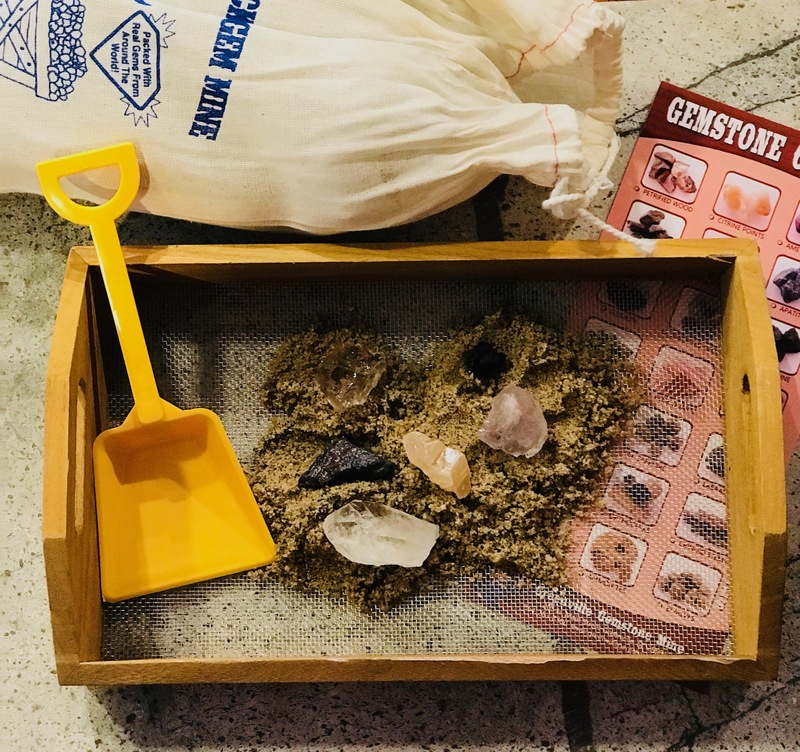 Bring the joy of Gem Mining home today! It’s the perfect gift for that “Rockhound” in your life. Each Miner Kit comes with your own sifter, shovel and gem chart. Best of all we guarantee a find every time! Some of the stones that can be found in our Miner Kits include: Amethyst, Chrysocolla, Obsidian, Amazonite, Fluorite, Rose Quartz, Smoky Quartz, Calcites, Jaspers, Agates, Sodalite, Labradorite, Crystals, Apatite, Citrine, and more!